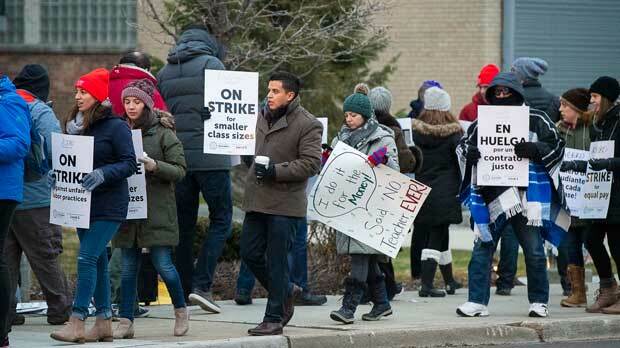 The strike at Acero’s 15 charter schools in Chicago following months of failed contract negotiations comes amid an increase in educator activism nationwide. Teachers in Kentucky , Arizona , Oklahoma , West Virginia and elsewhere converged on state capitols this year to fight for more pay and other funding issues. Some 26,000 Chicago Public Schools teachers staged a seven-day strike in September 2012 over issues such as the district’s demand for longer school days, along with disagreements over teacher evaluations and job security. The walkout idled 350,000 students in the nation’s third-largest school district as teachers pushed back against changes sought by Mayor Rahm Emanuel. The district pulled back from the brink of a second strike in October 2016 .